Here is the new sixth edition of this remarkable travel guide. We travel to grow - our adventure guides show you how. Experience the places you visit more directly, freshly, intensely than you would otherwise - sometimes best done on foot, in a canoe, or through cultural adventures like art courses, cooking classes, learning the language, meeting the people, joining in the festivals and celebrations. This can make your trip life-changing, unforgettable. All of the detailed information you need is here about the hotels, restaurants, shopping, and sightseeing. But we also lead you to new discoveries, turning corners you haven't turned before, helping you to interact with the world in new ways. That's what makes our guides unique. Barbados is fascinating, a mixture of Africa and Britain in the Caribbean. The easternmost of all the Caribbean islands, Barbados is uniquely situated to avoid virtually all hurricanes. Its 166 square miles of forests, cliffs, fishing villages, wildlife, nightlife, and beaches are surrounded by miles of coral reef teeming with an incredible array of sea life and shipwrecks. Some of the best sailing in the Caribbean is here, with southeasterly trade winds to carry you across the water. This is a land rich in history and culture, with an abundance of wildlife, beauty, and nature. There are few other guidebooks on the island and most are badly out-of-date. 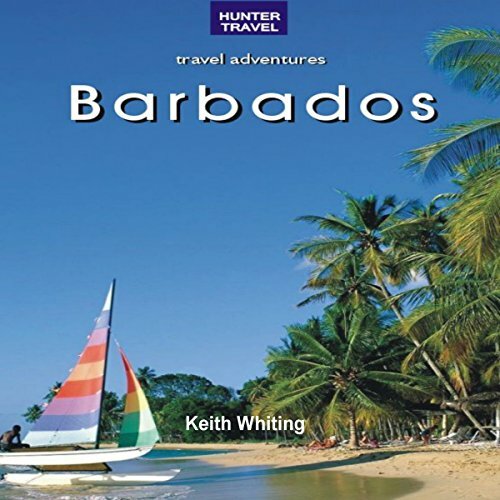 With 500,000 tourists visiting per year, Barbados is a major attraction with very little guidebook competition. We detail the best diving spots, all types of accommodations, dining, tours, local lore and festivals, services. Extensive background on the history, government, and economy of the island. The author has been a regular visitor for over 20 years. The audiobook is filled with inside information on which festivals are worth your time, where to find the best Bajan music, classes that will teach you the local cooking and artistic styles. None of the other guides take the perspective that we do, immersing you in the local culture and in the active things to do on the island. Today's traveler is eager to explore - not just sit on a beach.